Applications for Registrations for the 2019 Winter season are now open. 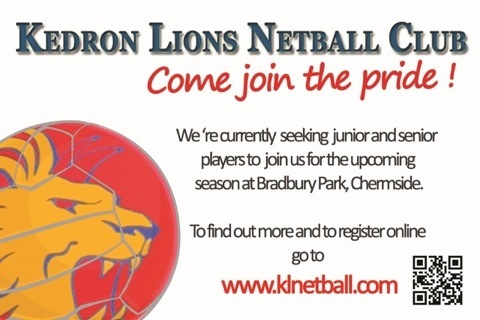 Welcome to Kedron Lions Winter 2019 season. Registrations close Sunday 27th January 2019. If you are wanting to play in the Wednesday night competition please use the link below to register. (Do not register through mynetball for Wednesday night – this is only for the Saturday competition only) If you want to play in both competitions you will need to register twice. Wednesday Night Winter 2019 Registration Form. Go Competition – Players born 2009 and 2010. Winter 2019 Go Competition Registration Form. All netball associations across Queensland have embraced the new format of U10 gameplay. The entire program comprises of three components – Net (5-6yo), Set (7-8yo) and Go (9-10yo) and forms part of the National three tier NetSetGo program. Look to the right of this page and follow us via email for all our news feeds, keeping you up to date with all the news for the current winter season commencing in March 2019. Like us also on facebook. Our registration fees are value for money. 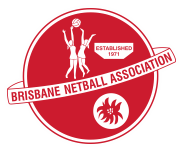 They go toward the cost of registering you as a player with the Brisbane Netball Association, insurance, a free night’s fitness training every week, umpire fees, cost of lighting, court access on game night and at training, trophy day, equipment upgrade, amongst other things. Registration fees for the Winter 2019 competition are payable at the time of registration. The cost is $286 for all Junior and Senior players and $267.00 for Go players. For families with additional family members playing for Kedron Lions the discount of $10.00 per player still applies. Please use the below link to request your family discount refund. If you are able to secure a Get in the Game voucher, we will waive the gap upon presentation of the voucher, but no further family discounts apply. To be guaranteed a spot in a team, registration and payment must be completed by 27th January 2019. Registration Closes 27th January 2019. Winter Season Starts Saturday Comp: 16th March 2019. Wednesday Comp: 20th March 2019. For registration enquiries please contact rego.klnetball@gmail.com. For uniform enquiries please see our Uniforms page.